This July 20, 2014, file photo shows actor Donal Logue speaks in Beverly Hills, California. 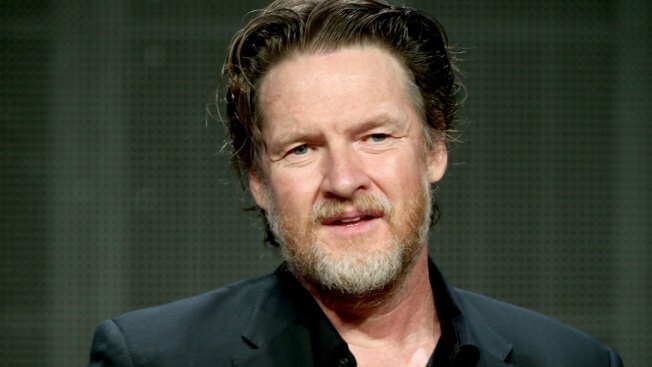 "Gotham" actor Donal Logue and his ex-wife have sent more pleas on social media to help find their 16-year-old daughter, who has been missing for a week. The latest post came from Kasey Smith, Logue's ex-wife, on Sunday night. In a video message on Twitter, she called for anyone with information about Jade Logue to contact her or the police. "What matters is that there is a child out there, my baby, Donal's baby, out there missing," Smith said. "Jade if you're watching this... we want you home. Please come home. We love you. We miss you terribly." Jade first disappeared on June 26, according to a Facebook post from the National Center for Missing and Exploited Children. She was last seen in Brooklyn, New York, wearing a green hoodie, blue jeans, a green military parka and a gray baseball cap. "There's never been a more loving, innocent, cuddly child than Jade," Donal Logue wrote in a Facebook post Saturday, which included a picture of Jade as a young child. "Her tribe is strong (I've met many wonderful people through Jade), but there are some predators who swim among their ranks knowing they're dealing with sweet, trusting souls." He continued: "Whoever knows where she is, whoever may be with her... It's okay. Just drop her off. Let her get back in touch with her mother, Kasey, or me — we'll take her back, with hugs and no questions asked." The actor first posted about his missing child on June 27, though he later deleted the tweet. Jade Logue, who is transgender, was previously known as Arlo.